An atom has protons and neutrons in its nucleus, and electrons zipping around the nucleus in orbits. When protons, neutrons and electrons start combining in specific numbers, you have atoms with recognizable traits. For example, if you have eight protons, neutrons and electrons you have an oxygen (O) atom. If you have seven protons, neutrons and electrons you have a nitrogen (N) atom. The term “element” is used to describe atoms with specific characteristics. 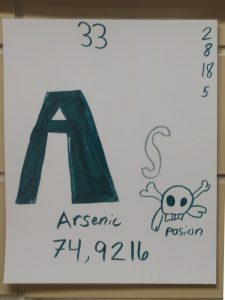 There are almost 120 known elements, generally organized in the Periodic Table. 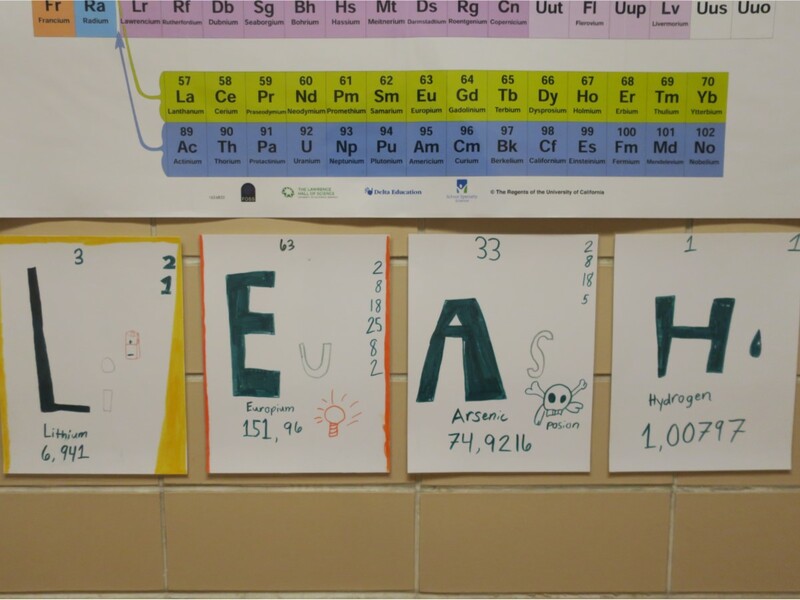 Mr. Loar’s 6-8 team science students used their names to identify elements to study in depth. 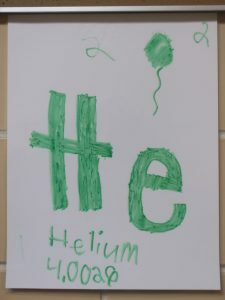 For example, Leah began her study of specific elements with Lithium. 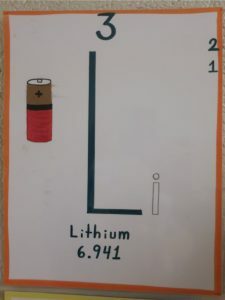 Lithium has the symbol “Li” and an atomic number of “3”, representing the number of electrons. The total mass of a single atom of Lithium is 6.941; and Lithium is an important element in batteries. 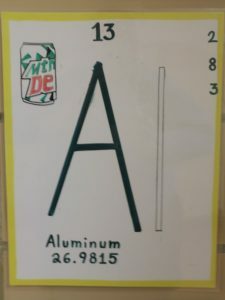 Another element studied was aluminum with an atomic number of 13 and an atomic mass of 26.9815. Aluminum is used in foil, utensils and soda cans! Next up: how elements are arranged into families.